CrossFit is a form of exercise that combines elements of weightlifting, calisthenics, gymnastics, HIIT cardio, and more. In order to follow its routines properly, you need to be dressed appropriately. This is why you need to own at least one pair of the best CrossFit shorts for men. These shorts will be close fitting, but not too tight, in order to allow for the movements required, even if you’re working out in your home gym. If you’re in the market for the best shorts for CrossFit workouts, then read on. 13 of them are listed here. 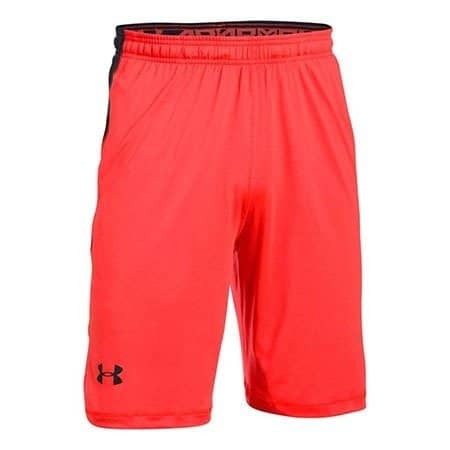 The Under Armor Men’s Raid 10” Shorts are the best Cross shorts for men because they are both comfortable and functional. They are also long enough to allow for plenty of movement. Under Armor is a well-known brand of sports equipment. They make everything from insulated gear to keep your warm during workouts, to items like these best CrossFit shorts mens. This pair is made of 100% polyester and come in over 20 different colors. They are designed with a full cut, which allows for some movement without being overly baggy The 4-way stretch construction helps with this as well. In addition, they have mesh hand pockets, and the fabric is rated at UPF 30, making them the equivalent of light sunscreen. 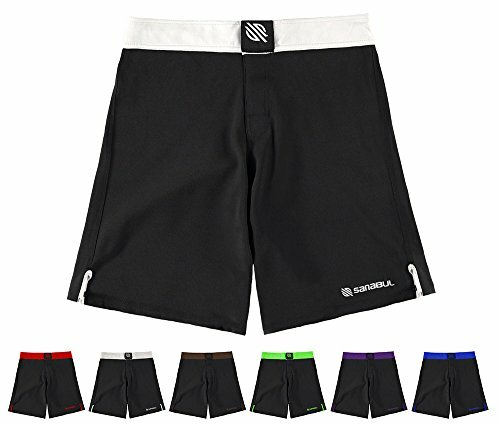 Although the Epic MMA Gear Blank WOD Shorts are technically designed for MMA (mixed martial arts) fighters, they made this list of the best CrossFit shorts for men because they are lightweight and durable. 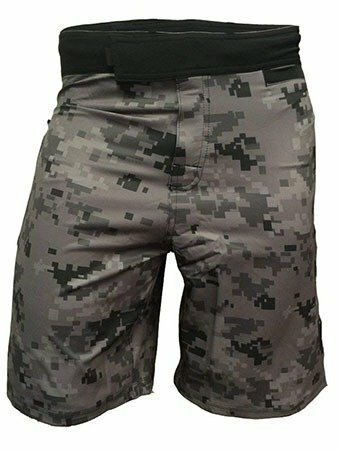 The Epic MMA Gear Blank WOD Shorts are some of the best shorts for CrossFit workouts, as they are comfortable and easy to change in and out of. They come in several different colors, including black, black and army green, and even black and red. 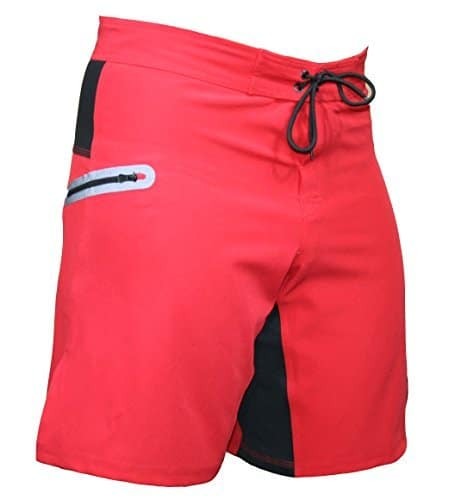 These shorts fasten at the top with a Velcro buckle and come in seven different sizes, all based on men’s waist sizes. Sometimes the best workout shorts for guys are those that are designed with a shorter inseam. This allows for more support while exercising. The Tough Mode Men’s Fitted WOD Shorts are on this list of the best CrossFit shorts for men for this reason. Whether you work out in your home gym or do your CrossFit exercises at a standard gym, you need a pair of shorts that you can put to the test. The Tough Mode Men’s Fitted WOD Shorts fit the bill nicely. They are made of a combination of polyester and spandex, making them both breathable and stretchy. 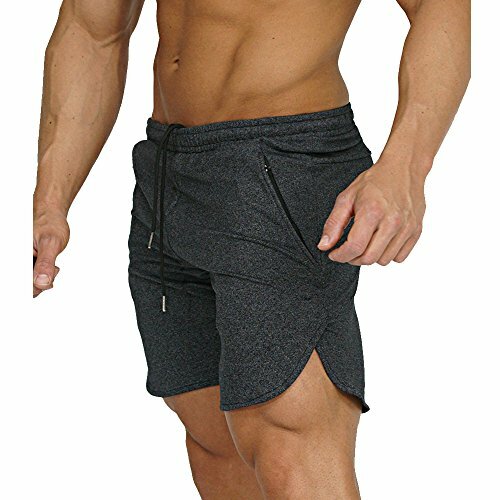 These shorts close with a YKK zipper on the side and have a drawstring waist. The Jed North Men’s Fitted Shorts are some of the best CrossFit shorts for men, as they are fitted and provide a lot of support during your home gym (or standard gym) workouts. These candidates for the best shorts for CrossFit workouts are made of 90% polyester and 10% spandex. This means that they have plenty of stretch and will remain comfortable during your workouts. 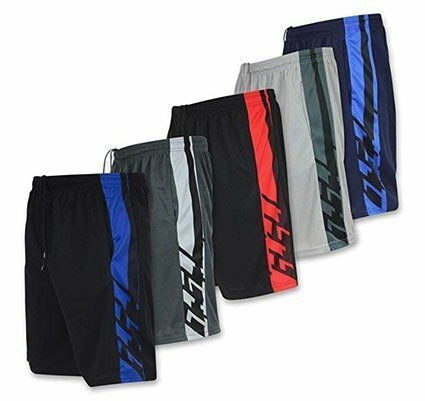 The best CrossFit shorts mens come in five different colors and four different sizes, ranging from a small to an extra large. They have deep pockets and a drawstring waist. In some case, the best CrossFit shorts for men are those that only come in one color. The Sanguine CrossFit Shorts are one example of this, as they only come in a gray and black color combination. The Sanguine CrossFit Shorts are made of a combination of polyester and spandex that is designed to wick away sweat while allowing for plenty of stretch at the same time. That makes them a great pair of shorts to wear in your home gym. 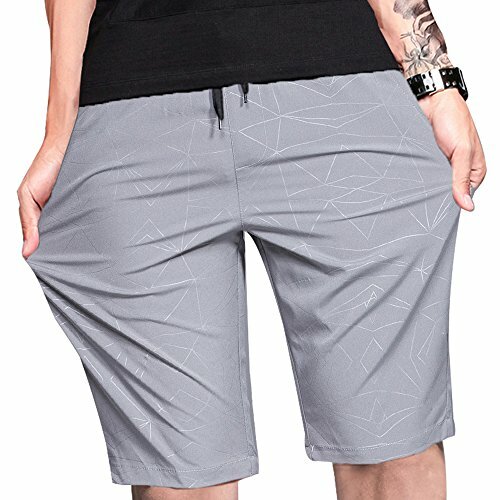 These shorts have five slits on each side to allow for movement, and they have a tape zipper pocket that will hold your smartphone comfortably in place. They are some of the best CrossFit shorts mens for this reason. 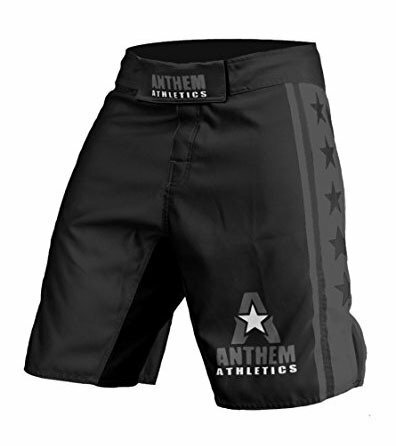 The Anthem Athletics Resilience MMA Shorts are technically designed for MMA workouts and fights. However, they made this list of the best CrossFit shorts for men because they are designed to handle multiple different types of movements. 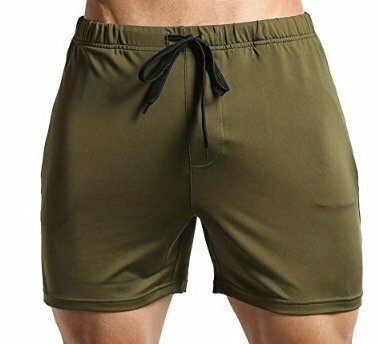 When looking for the best workout shorts for guys, you need to find a pair that is very comfortable, no matter how you’re moving. These, the Anthem Athletics Resilience MMA Shorts, are those shorts. They have a four-way stretch crotch, side slits, a two-fold Velcro waistband, and are made of fabric that’s tear-resistant. On top of this, they come in a wide variety of patterns and waist sizes. The Pro WOD Performance Shorts are among the best CrossFit shorts for men, as they are soft and loose, yet stretchy. Sometimes you want a pair of shorts that aren’t overly supportive. This is where the Pro WOD Performance Shorts come in. These are on the list of the best shorts for CrossFit workouts for that reason. Their fabric is made with anti-odor technology. On top of that, it has four-way stretch and three slits on each side, just in case the loose shorts aren’t quite enough. Another candidate on the list of best CrossFit shorts for men are the Real Essentials Men’s Performance Shorts. Even if you work out in your home gym, you’ll appreciate these durable shorts. The Real Essentials Men’s Performance Shorts come in sets of multiple colors and are made of 100% polyester. While they don’t have the moisture wicking properties of some of the others on this list, they are extremely durable and will hold up to a number of different types of workouts. These shorts, which are on the list of the best CrossFit shorts for men for a reason, have fabric with built-in moisture wicking technology. The EverWorth Men’s Gym Shorts are made of both cotton and spandex. This allows them to comfortably move with you, no matter where your CrossFit workout leads. These shorts have zippered pockets, reinforced stitching, and an elastic waist that closes with a drawstring. Another on the list of the best CrossFit shorts for men are these LTIFONE Men’s Workout Shorts. They were designed to be comfortable, no matter where you prefer to work out – your home gym or a regular gym. The LTIFONE Men’s Workout Shorts are made of dry fit fabric and come with several built-in pockets. There are six different colors and patterns to choose from, and each has a drawstring and elastic waist. Although the inseam is on the longer side, these shorts will move with you as you go through your CrossFit routines. The Sanabul MMA Cross Training Workout Shorts are on this list of the best CrossFit shorts for men, as they were designed to have an athletic fit. Even if you’re working out in your home gym, you still need the very best pair of CrossFit shorts possible. The Sanabul MMA Cross Training Workout Shorts are among them. They have four-way stretch fabric, a close fit, and the waist fastens with a hook and loop closure. The fabric has been treated to have antimicrobial properties as well. The best CrossFit shorts for men sometimes come with plenty of pockets and a Velcro fly. This is why the WarriorXGear Spartan Pro Training Shorts made this list. 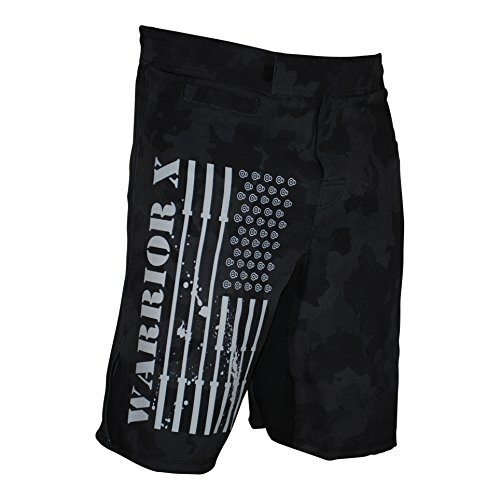 The WarriorXGear Spartan Pro Training Shorts are some of the best CrossFit shorts mens, as they are designed for full movement. While these aren’t meant specifically for CrossFit, they work across a range of different workouts – even those that you do in your home gym. The waist closes with a hook and loop drawstring, and they come in three different color combinations. 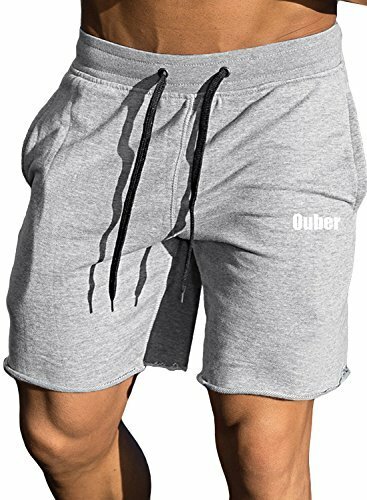 Another candidate on this list of the best CrossFit shorts for men is the Ouber Men’s Bodybuilding Shorts. These shorts are designed for movement and comfort, just what you need while working out in your home gym. The Ouber Men’s Bodybuilding Shorts come in six different sizes and five different colors. They are made of a combination of cotton and spandex and have an elastic inner-drawcord waist that fastens securely. They also have built-in zipper pockets, as well as a v cut out on the leg to allow for easy movement. The moisture-wicking fabric will keep you dry no matter how hard your work out is. As you can imagine, the best CrossFit shorts for men are designed with this form of exercise in mind. While you could ideally get away with wearing another type of workout shorts, if you want to be at your peak fitness level, you should stick with shorts that are specifically for CrossFit. The best shorts for CrossFit workouts are those that allow for plenty of movement while providing some support at the same time. The 13 listed here fit the bill perfectly.